We have really grown attached to several places around here….some for their beauty, some for their drama, some for their variety, and some for their convenience. 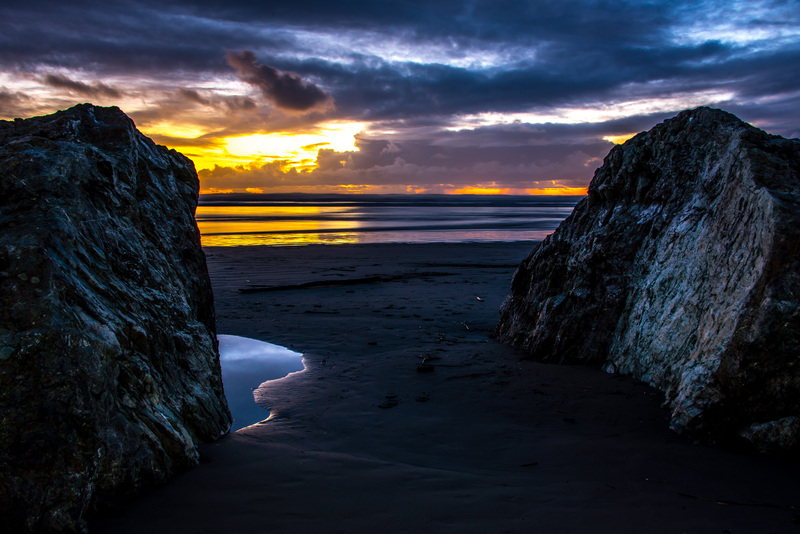 Moonstone Beach is just 5 miles from our coach, and offers several of those reasons to be special. Funny little place where a river empties into the ocean…and gets rerouted about once a month due to major changes in the sand bars. It gave us that incredible salmon sky sunset 10 days ago. Because its beach is quite flat, the waves can be right by the parking lot at high tide, or 400 yards out at low tide!